It’s really a hard decision to part ways with your home. This is where you have lived with your family for so many years, but for some important reasons you have to say goodbye to it. Perhaps you need some cold cash to pay off tuition fee, or medical expenses and you resulted in selling your home. 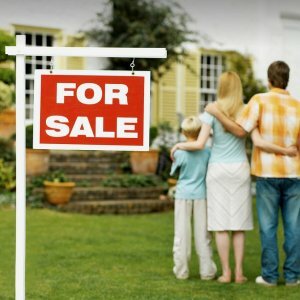 Here comes the much harder part, you don’t have any idea what to do when it comes to selling your home. For starters here are among the most basic tips in selling your home for the very first time by House Logic. Read the article below to learn more. First-time home sellers must do their research thoroughly before listing their homes as for sale in different home listings. Things such as mortgage rates, inflation, etc. contribute to the current home price. If you want to know the do’s and don’ts when selling your home for the first time, check out these awesome tips written by Devon Thorsby in U.S News Real Estate. Selling a home for the first time can be just as much of an education as buying one. Purchasing your first home is always an education process – you learn about the local market, mortgages, housing codes and zoning and negotiation. Depending on how quickly you have to move to be able to snap up a home, the purchasing process can be a bit of a whirlwind. Then, a few years down the road, you’re ready to move to a new home that’s bigger, closer to work or has all the extra features you’ve been dreaming of. And while buying again is a whole re-education process with new market trends and regulations, this time you’ll also need to learn the ins and outs of being a first-time seller. Again, it’s an education process, which is why you’ll want to enlist the help of a real estate agent you feel comfortable taking advice and instruction from to get your home ready. “We help showcase their home in the best light to get the best price, and in today’s market, to help them get premium pricing,” says Lennox Scott, chairman and CEO of John L. Scott Real Estate in Bellevue, Washington. While the housing market may appear to be ideal for sellers, with bidding wars common and many markets reporting all-time low inventories of properties on the market, sellers should keep perspective when it comes to sale prices. Just because your home’s value has increased doesn’t mean your home will go for millions when it was worth $250,000 a couple years ago. According to the National Association of Realtors’ Summary of July 2017 Existing Home Sales Statistics, 76 percent of existing home sales were sold for $500,000 or below. Homes that sold for between $500,000 and $1 million accounted for 12 percent of sales nationwide, and just 3 percent of homes sold for above $1 million. Do establish an offer due date. The key to selling your property for the price you want is positioning it so the right buyers get a chance to see it and mull it over. For that reason, a strategy that’s proven effective for Shane Marrion, broker and owner of Benoit Real Estate in Somerville, Massachusetts, is to price a home slightly below expected value and place the property on the market, but don’t accept bids right away. “Hold off offers for approximately seven days, group show it and do a couple open houses, and that’s the best way to maximize your money,” Marrion says. You must be prepared the moment you put your home into listing websites. As much as possible, you must already have an offer due date for your decided price. Also as much as possible, avoid pricing high at the star, and do what’s best in the current market. If none of these important tips convinced, then these tips by Natalie Campisi in Bankrate could be of great help. Before you feel helpless in this home-selling machine, what you can control turns out to be pretty substantial and will likely have a noticeable impact on your bottom line. Things like hiring an effective listing agent and maximizing curb appeal can convert effort into dollars. Here’s what experts say homeowners should do if they want to sell their homes in 2019. Most sellers dream of a stress-free sale where they simply list their house, quickly find a qualified buyer, collect the cash and hand over the keys. The reality is that selling a home includes many moving parts — some which you can control and some that are out of your hands. In places where inventory is low, odds are you’ll be able to sell faster and command a higher dollar amount. Conversely, in places where home sales have begun to cool, homeowners will likely have to wait longer and work harder to make that sale. 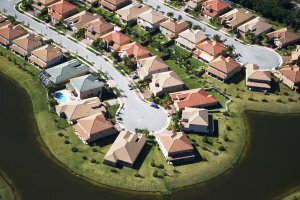 You can’t really compare your state, town or neighborhood to what’s happening miles away, says Louise Rocco, realtor for Exit Bayshore Realty in Florida. She explains that, above all else, pricing your property around the average sales price in your neighborhood is a good starting point. “If you put your house on the market for $25,000 more than the average sales price in that area, it’s probably not going to sell,” Rocco warns. An effective way to value your house and prove that value to buyers is to get comparables, or “comps.” These are data sheets about recently sold property in a specific area. At a glance, you can get an idea of what houses are going for around you and you can price yours accordingly. This is a good starting point and will help you manage expectations throughout the process. According to Home Advisor, basic inspections range from $270 to $378. 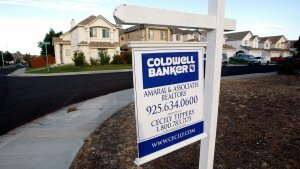 Although some real estate agents advise against spending the money because the buyers will get one anyway prior to closing, Summers believes it’s often better to be proactive..
“I would rather know what the inspector is going to find and be able to fix it — and pick who will fix it,” she says. To sum it up, selling your home for the first time requires additional work on your part as well. You need to do research about the market in general, have an expert check your home for minor and major home problems. Be sure that your price is reasonable compared to the current market price. However, if you don’t have the time and on a rush to sell your house, we at Dependable Homebuyers can help you find the right buyer for your home. Want to sell your house fast? Visit us on https://www.dependablehomebuyers.com to get started.